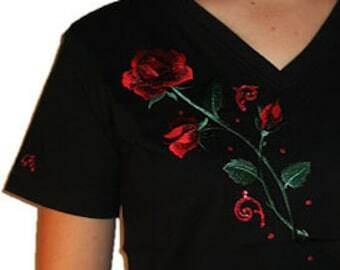 Our Rhinestone Hummingbird with Hibiscus by Cindy's Bling Shirt Shop is a special shirt for any hummingbird lover! 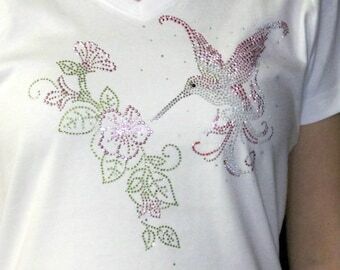 This fun glitzy rhinestone hummingbird is full of many colors of crystal stones,embellished with hand-painted swirls and dots and a touch of glitter. 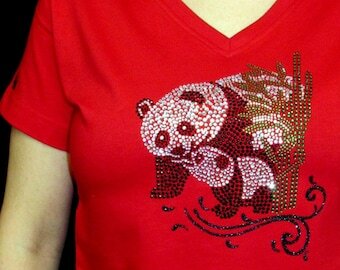 I've added some swirls on the sleeves for a finishing touch! 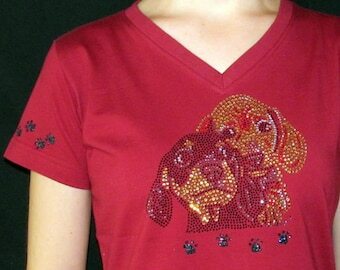 Great gift for Valentines Day, Mother's Day, Birthday or everyday! 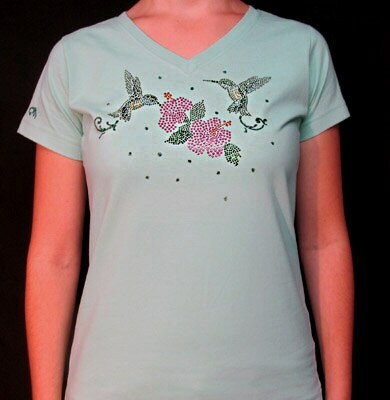 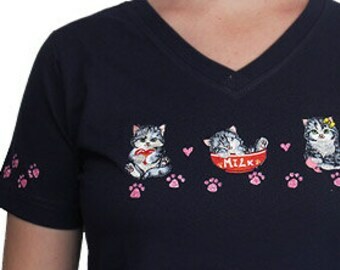 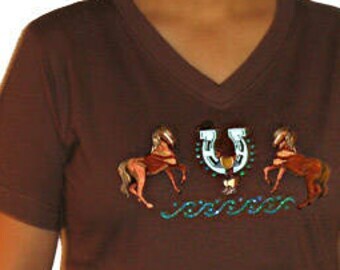 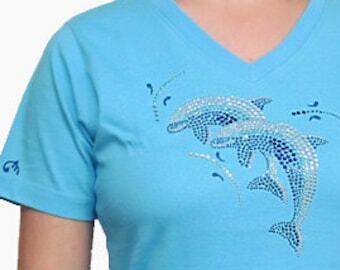 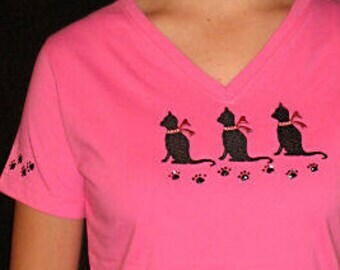 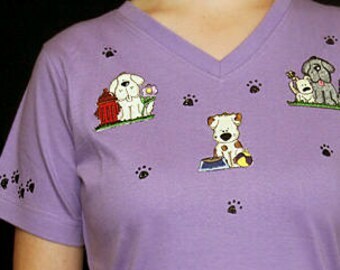 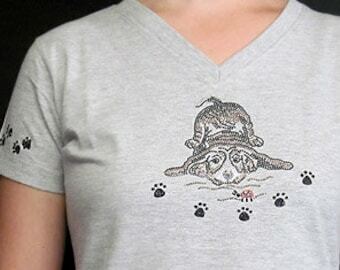 It is pictured on a mint/chill color 100% Ringspun Cotton ladies cut V-neck shirt by LAT. 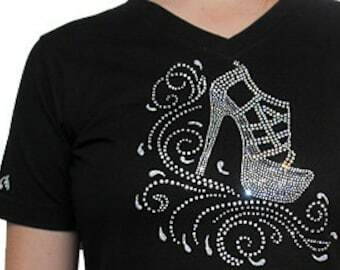 If you would like it on a different color or style feel free to ask and we can chat to see what is available. 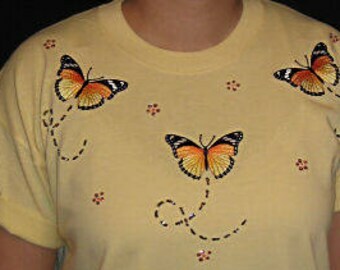 Cindy made this shirt in black for me and it is stunning. 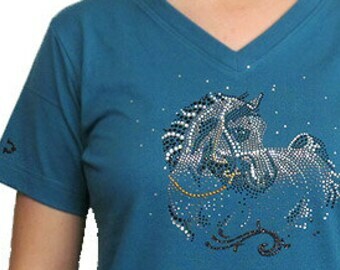 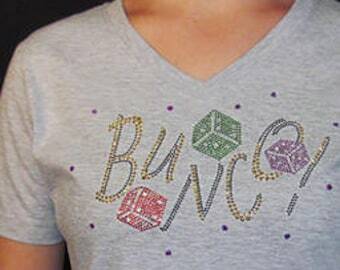 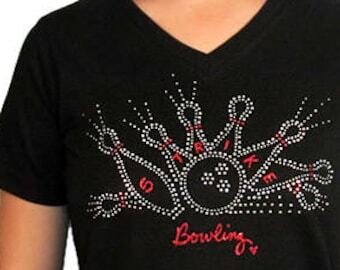 The quality of the shirt is very good and I love the bling.